Governments, businesses and researchers around the world are learning about open data: data that anyone can access, use and share. Open data is powering new businesses and insights in transport, climate modelling, agriculture, health and government services. • "Open data means all data should be open"
• "Open data is expensive"
• "Open data is bad for business"
• "Open data is poor quality data"
Ellen Broad tackles the myths surrounding open data and shares examples where open data has had greatest impact at our Open Data Meetup. Ellen is a leading international expert in open data and is an Open Data Institute (ODI) Certified open data trainer. 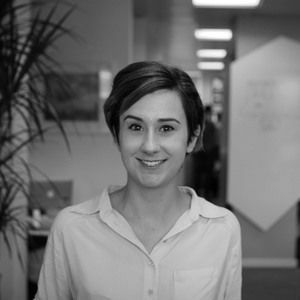 Ellen just returned to Australia from the UK, where she was Head of Policy for the Open Data Institute. While in the UK, Ellen was recruited by then Secretary of State for the Department for Environment, Food and Rural Affairs (Defra) Elisabeth Truss (now Lord Chancellor and Justice Secretary), as her expert adviser on data. Ellen steered Defra’s #OpenDefra commitment to publishing 8,000 datasets as open data and changing the way Defra’s 22,000 staff worked together. Ellen also designed the open data board game, Datopolis, together with ODI CEO Jeni Tennison, which is being played in 19 countries, including New Zealand. Brought to you by Open Data NZ (Stats NZ) and Data.govt.nz (DIA).